Whether you are completely new to chocolate work or you are an experienced professional wishing to learn and perfect new skills, attending the right chocolate course can prove to be an invaluable investment. 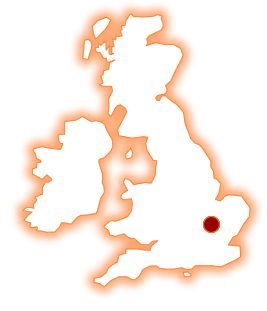 You will find a selection of courses below; the ones marked with a star have been tried and tested by us at Keylink! 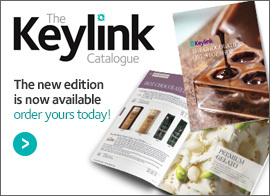 If you provide chocolate courses yourself and would like to feature your courses on this page, please contact Lynne Eaton at lynne@keylink.org or call on 0114 245 5400. 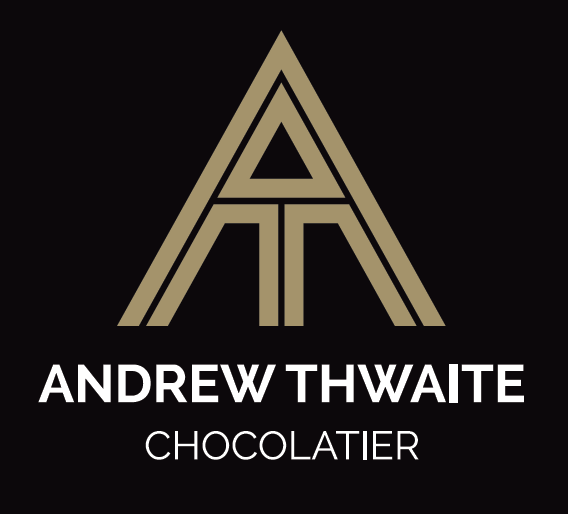 Andrew Thwaite is a highly experienced chocolatier with over twenty years of experience in the chocolate and confectionery industries. If you are looking to start a chocolate business, or you are a chef or pastry professional looking to develop your chocolate skills, Andrew can help you achieve your chocolate ambitions. Delivering training sessions either from partner venues throughout the UK or alternatively Andrew can travel to your own premises anywhere in the UK and provide all the necessary ingredients and equipment. 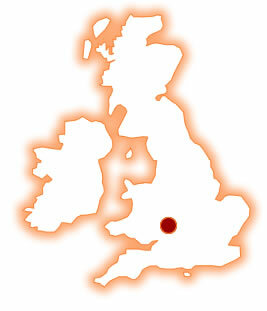 Come and join in on one of our chocolate courses in Gloucestershire. 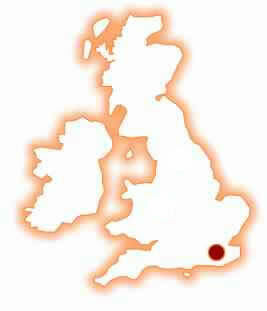 Enjoy the world of chocolate and share my passions for Easter Egg Workshops, Chocolate Making ie. truffles, and Chocolate Shoes. 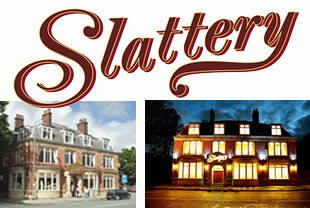 We cater for individual, groups and children either at our place or yours, dependent on numbers. 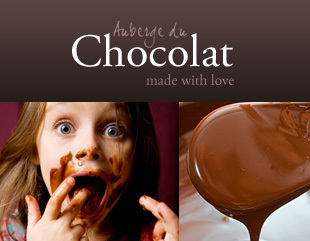 I will help to unravel the mysteries of chocolate for you and give you the opportunities for tastings too. 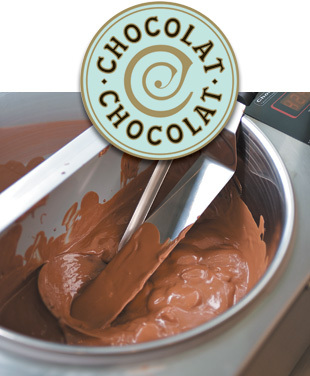 We will be working with Belgian chocolate and I aim to make each course fun and informative through demonstrations and one to one coaching. 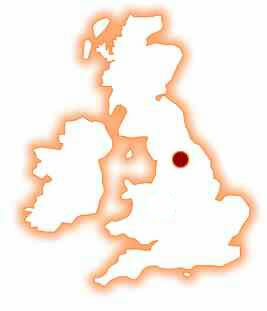 It is also my aim to give you the skills and confidence to work with chocolate at home. 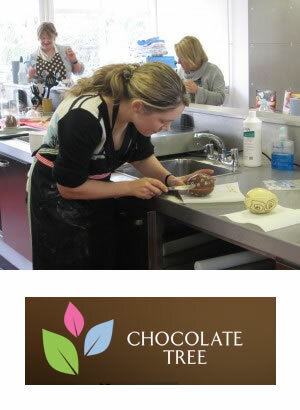 Venue: Sherdons Golf Centre, Tredington, Tewkesbury These chocolate workshops are set in a relaxed atmosphere and are suitable for all age groups and levels of experience School Workshops A truly fun session in a 'learning environment' Each workshop is aimed at the children being creative whilst exploring the qualities of chocolate and acquiring new skills. 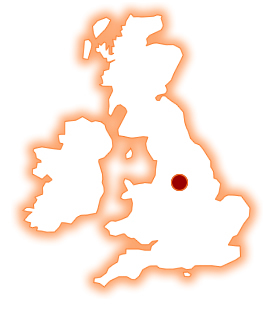 For further information and to discuss your requirements. 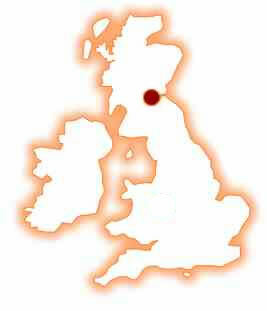 Please contact me on 01451 850504 or visit the Chocolate Tree website. 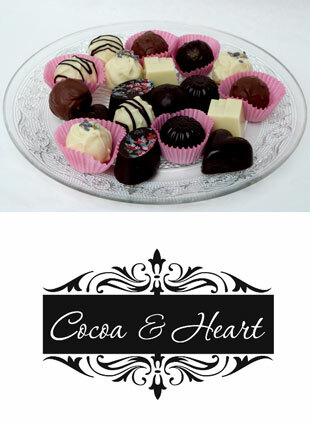 Cocoa & Heart Chocolate workshops are the perfect introduction to chocolate making. They are suitable for all chocolate enthusiasts who want to learn how to create chocolate truffles and confectionery at home. Workshops are run in small groups in a friendly and relaxed atmosphere in our Victorian kitchen where everything centres around chocolate. All courses are hands on and you will get to practise how best to roll, dip and decorate your chocolates, learn how to temper chocolate and create chocolates with a professional finish. There will be plenty of time to taste different types of chocolates and soft centre fillings as we show you how to add flavour to your chocolate truffles and what combinations work best. All courses include a detailed course information pack to help you continue making chocolates at home and a beautifully gift wrapped box of your very own chocolates. 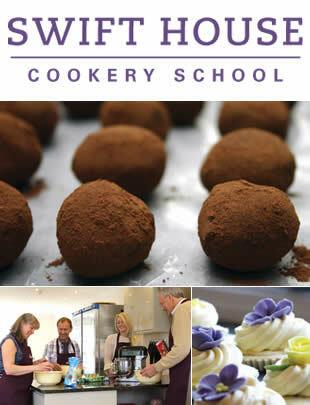 Our Chocolate Workshops Gift Vouchers are perfect as a gift for chocolate lovers and enthusiastic cooks alike. If you're looking for a chocolate-making class, then the Chocolate & Pastry School in Peebles near Edinburgh (Scotland) will have a class to suit. Run by 2012 UK World Chocolate Master, Ruth Hinks, the school offers a range of inspiring chocolate-making classes which teach the skills required to create handmade chocolates at home. 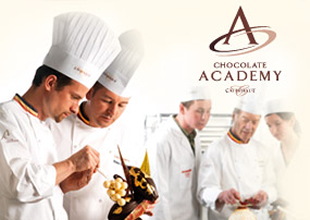 The Chocolate & Pastry School is one of Europe's leading training facilities for chocolate making and pastry courses. Launched by 'UK World Chocolate Master 2012' and 'UK Confectioner of the Year' Ruth Hinks, the Chocolate & Pastry School welcomes national and international students with a passion for chocolate making and pastry work. The Chocolate & Pastry School has a newly purpose-fitted kitchen where you can learn the latest chocolate-making and pastry chef techniques and innovations, and work with the very best equipment and ingredients. For details of forthcoming classes at the Chocolate & Pastry School, see our class calendar. 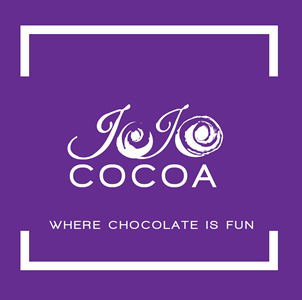 If you love chocolate and want to learn some basic skills and tricks of the trade in an informal environment then JoJoCocoa has two hotel-based workshops to tempt you with! Learn how to make a load of chocolates to take away and impress your family and friends. At the 'Introduction to Chocolate' workshop you will experience two hours of chocolate making and tasting, as well as the chance to learn all about the bean-to bar-journey and partake in a fun quiz with prizes. A great way to be introduced to chocolate. 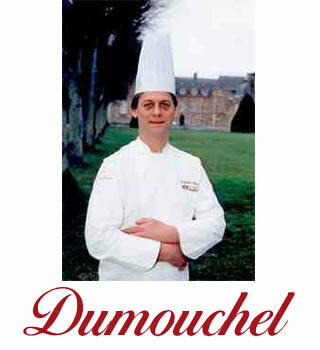 If you fancy a more intensive workshop, then the 'Deluxe Chocolate' workshop will suit you. This is a packed course using Belgian chocolate and décor, lasting three hours and teaches more techniques and skills to go away at practise at home. 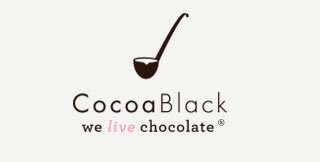 If you are a bit of a connoisseur of chocolate, then you will love this workshop! You will work with edible transfer sheets, texture sheets, praliné, truffles and much more. There is a fun quiz to test your chocolate knowledge, chocolate tastings and an informative bean-to-bar session.